Lenovo is all set to launch the Moto Z modular smartphone in India today. The New Delhi launch event starts at 11:30am IST. 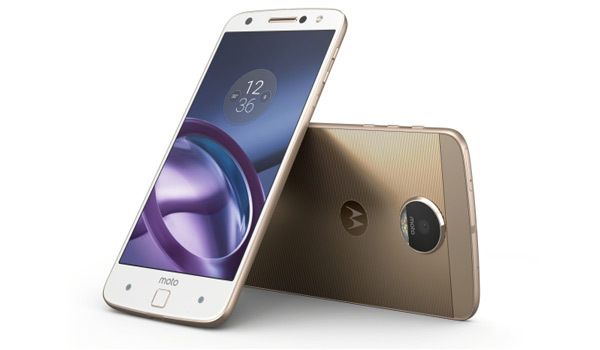 To recall, the Moto Z and Moto Z Force were unveiled at the Lenovo Tech World 2016 event in June. The most affordable variant, the Moto Z Play, was announced at IFA 2016. While the company's latest invite for the event does indicate only the Moto Z will be launched in the country on Tuesday, it's possible the company may also announced the Moto Z Force and the Moto Z Play as well, which are both part of the modular Moto Z series. We'll have to wait and see. The Moto Z is being called the thinnest premium smartphone in the world, at 5.2mm, and is said to be ultra light as well. It features a 5.5-inch QHD Amoled display, and is powered by a Qualcomm Snapdragon 820 SoC coupled with 4GB of RAM, and a choice of 32GB or 64GB of storage, which is expandable via microSD card (up to 2TB). It sports a 13-megapixel rear camera with optical image stabilisation (OIS) and laser autofocus, and 5-megapixel front-facing camera with a wide-angle lens and a front flash. The Moto Z also sports a water-repellent coating. The company says the smartphone's 2600mAh battery can deliver up to 30 hours of battery life, with TurboPower charging to give 8 hours of battery life in 15 minutes. The Moto Z Force, like the Moto X Force, comes with Moto ShatterShield technology for its display, which the company says will not crack or shatter. It is nearly identical to the Moto Z otherwise, except for the the larger 3500mAh battery, which is rated to provide up to 40 hours of battery life. With TurboPower charging, it is said to provide 15 hours of battery life in just a 15-minute charge. It also bears a 21-megapixel rear camera with optical image stabilisation, phase detection autofocus (PDAF), and laser autofocus. The Moto Z Play features a 5.5-inch full-HD Super Amoled screen, and is powered by the Qualcomm Snapdragon 625 SoC with 3GB of RAM and 32GB of internal storage. It also has a 3510mAh battery, a 16-megapixel primary camera, and a 5-megapixel secondary camera.